'Cold crashing' is not missing the turn on a cold winter's evening and ending up driving into a snow bank. It's not feeling horrible from a viral infection. It's when you make your beer so cold that all the yeast 'leftovers' in your brew fall to the bottom meaning you can bottle or keg your beer, safe in the knowledge there will be little sediment and it will be quite clear. Cold crashing is a popular alternative to using finings such as gelatin to achieve a clear beer. For many brewers, a good color beer profile is a badge of honor and it can greatly add to the drinking experience. 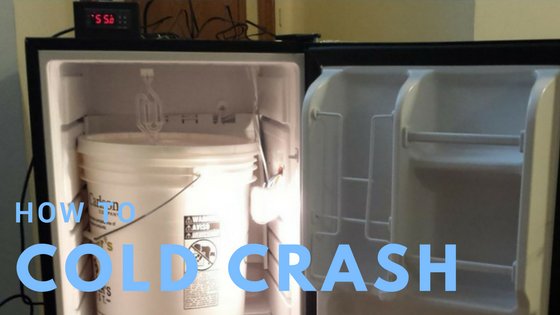 So how do you cold crash home brew? What you need is a very cold area. Maybe you brewed your beer under the kitchen sink and it's ready to bottle condition. Now is the time to cold crash. If it's winter, you're in luck, place the fermenter or carboy in your extremely cold shed for a full 24 hours. This will cool the beer so that gravity can do its thing and the yeast can clump together (floccuate) and other impurities can fall to the bottom. Leave it for a week at least. Or, you can do what so many brewers do and place your 23 litre drum in an old refrigerator. The ideal temperature is as close to zero and five degrees centigrade as one can get - without freezing the beer of course! What's happening during a cold crash is that the yeast and other solids are dropping to the bottom of the barrel and this makes the beer clear. Different yeasts have different behaviors in the cold. 'Flocculent' yeast strains will drop out in a day or two but for some of those poncy Belgian yeasts , you might be looking closer to a week. That said, many home brewers report that a week of cold crashing achieves the best clarity results. It will be hard to achieve 100 percent clarity when you cold crash - commercial brewers have plenty of tricks up their sleeves to do that but remember that by properly conditioning your beer in a glass bottle or keg, the fermentation process will continue and there will be increased clarity occurring too. When do I cold crash? Begin the process only when you are sure that fermentation is complete. You can use a hydrometer to determine this - make sure you take that first reading! What is the best temperature to cold crash beer? There are many opinions out there but the commonly recommended range varies from 33 degrees Fahrenheit to 40 degrees F, with 38 degrees F being a fairly popular temperature point. 40 F is about 4.4. Centigrade. Just don't freeze your beer. What do I do after I have cold crashed? Keg or bottle in the normal fashions. Try not to stir the trub up! Does cold crashing affect dry hopping? It's a fair question given many brewers like to dry hop just prior to bottling. This is when hops are added to the fermenter a day or three prior to the end of fermentation. Most brewers report that dry hopping at the normal time and then cold crashing does not cause a great deal of aroma dissipation. Only cold crash when your beer is fully fermented. Crashing causes yeast to fall out of the beer so if done too early, you won't end up with the beer you intended to make. If you keg your brew, you can cold crash right in a keg. Let the keg condition (uncarbonated) for a few days in your 'kegerator' so the yeast flocculates and drops out. Keen brewers can then transfer the batch to a second keg, many most of the sediment is left behind as well. Perhaps somewhat ironically, cold crashing can increase the chances that chill haze will occur. While chill haze is actually prevented earlier in the brewing process if it occurs during the cold crashing stage, a quick application of finings will help. Chill haze will not affect the taste of your beer though you may not like the look of it, especially if it's occurred in a light colored beer. If you are concerned that hops causes too much sediment, consider using mesh bags. If you are getting serious about cold crashing in a fridge, a temperature controlled one will keep the beer at a consistent level. You do not need to re-pitch yeast for bottling as there will be sufficient yeast left for bottle carbonation. That said, it may take a little more time than usual for carbonation to occur. Results may vary! There's another means to improve beer clarity. Did you know that the word lager is derived from a German word, lagern? It means ‘to store’. This should be a strong clue on how to make a good lager or any beer really. The lagering process was born when it was realised that beer left in cold caves turned out pretty good. This can mean that to get a lager brewed from a kit to be at its best for drinking, you may need to let it ‘lager’ for more weeks than you normally let an ale sit. So hide it in a dark corner of the garden shed during winter. This will help with your beer clarity too! If you are doing a boil, chilling your wort can also help remove unwanted items from your beer. If you've ever bought a beginner's beer kit it may have come with a sachet of 'finings'. That's basically how I was introduced to them when I got a brewing kit for Christmas. 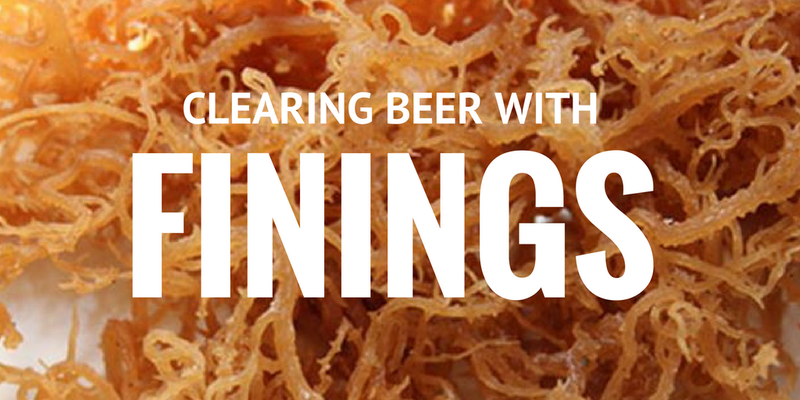 What are beer 'finings' ? Finings are agents that are usually added at or near the completion of brewing beer to the fermenter. Their purpose is to remove unwanted organic compounds to help improve the beer clarity - as no one likes cloudy beer. They are also used for wine, cider, alcoholic ginger beer and non-alcoholic drinks such as juice. The finings act by precipitating and binding with compounds that reduce beer clarity. They then fall to the bottom of the brewing fermenter drum or carboy and so are effectively removed from the beer. 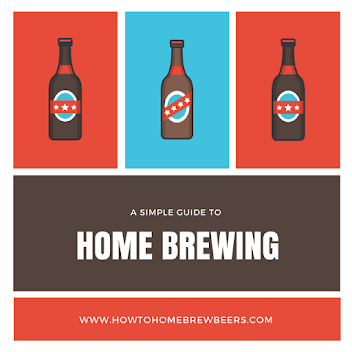 How do I use beer finings? If you have made a batch of beer in a drum or carboy, just add in the sachet to the beer, about 3 days before you intend to bottle the beer. Do it quickly and reseal the drum so that there's no chance of infection occur by way of a stray spider or sneaky germs. If you have done a boil, you can simply add the finings at the end of that process. That's all you have to do! Easiest beer making instruction ever eh? It doesn't matter if you've made a stout, ale or lager, the timings are as above. We've noticed readers of this site often buy the 'Super-Kleer' brand of finings. What are finings made from? Finings can be made from all kinds of things. Isinglass (biofine) is a clearing agent made from the protein called collagen. It is extracted from the swim bladders of fish! Ordinary gelatin is an effective fining agent as it will remove proteins and polyphenols. It's similar to isinglass in that it is also collagen agent but the key difference is that gelatin is made from hooved animals. That's right, if you use gelatin to clear your beer, you are adding horse feet! You can use un-flavoured gelatin by adding one teaspoon to a cup of hot water, mix and then add gently into the fermenter. A very popular fining is Irish Moss. It seems to be a bit of a misnomer as Irish Moss is actually derived from seaweed! Irish moss is added in the last 10-15 minutes of the boil and not generally used with beer kits that go straight into the carboy. Whirlfloc tablets are also very similar to Irish Moss and can be used in the same way. There are other fining products that you can use such as Chillguard and Polyclar and silica gels like Kieselsol. How do finings actually bind with unwanted compounds? Fining products usually have large molecules that are 'positively' charged. Think back to your science class days at school! These molecules attach themselves to negatively charged contaminants (opposites attract remember) and then precipitate them out of the finished beer - and by that we mean they fall to the bottom of your fermenter. Silica gels like Kieselsol are actually negatively charged! They are basically silicon dioxide products. So do I actually need to use finings? The choice is yours and it depends on how much you care about beer clarity. If you are after clear or cloud free beer, then using finings is one very easy trick to help you with that goal. If you are adding hops to your beer, you may want to consider it. This is because hops leave polyphenols in the beer which can cause a lack of clarity. Finings will work on the polyphenols as per usual. Malt also produces polyphenols so finings can take care of any the malt in your beer may produce. Finings definitely work however it would be fair to say that it's not a necessary part of the brewing process for ordinary home brewers. If you are intending to enter your beer into a competition where the clarity of beer is considered an important criteria, you'd be silly not to employ this method. One thing to beer in mind is that the use of finings does add to the cost per bottle ration of your beer. It's the same argument for using beer enhancers. You don't need them but they really do improve your beer's mouth feel and all round taste performance. The concept for wine is the same as beer - but sometimes the methods to clear wine are different. The use of gelatine and Isinglass is common but also some perhaps counter-intuitive products like egg whites or casein are used. A clay made from volcanic ash known as bentonite is pretty a pretty popular means too. It is absorbent so is used to bond with particles in the wine. Here's some more tips on making clear, cloud free beer.